Forgot Windows 7 password and can’t log on your computer? I’m going to show you a really easy way to reset Windows 7 password, without having to buy or download any third-party software. Note: This trick is only intended for experienced users who forgot Windows password. For average computer users, please use the professional software – Reset Windows Password – to reset lost or forgotten Windows 7 password. In order to do this, you must have a Windows installation CD or DVD. Any Windows 7, Vista or XP CD or DVD will work. First you have to boot from the installation CD. Most PC’s are already set up to use the CD/DVD drive as the first boot device, which means you only have to insert the CD/DVD and restart the PC. Before Windows begins to load, you will see a message that says “press any key to boot from CD”, just press any key. However, if your PC is not set up to boot from the CD/DVD first, you will have to set it as your first boot device in the BIOS setup. If you don’t know how, it’s really easy. Soon as you turn your PC on, you can enter the BIOS setup by pressing the DEL key. Although you would normally use the DEL key, the key you have to press varies from PC to PC, but it will either be the DEL, F1, F2, ESC, or F10 key. You have to be quite quick while doing this. The most sure-fire way of doing it correctly would be to turn your PC on and keep pressing the button until you get the BIOS screen. Once you’re at the BIOS screen, navigate through the menus looking for something like “1st boot device, 2nd boot device”, or anything related to boot order. It is different with each PC, but it’s really strait forward. You should set the first boot device as the CD/DVD drive, and the second as your HDD (Hard Disk Drive). It wont matter what the third or fourth are. How that you’ve booted from the CD, you will have to option to install or repair Windows, click repair your computer. You will see various option as shown in the image bellow, click Command Prompt. Now that you’re in the command prompt, we are going to use a couple of commands that will allow you to reset Windows 7 Password. So you’ve restarted your PC and you’re at the login screen. Press the Shift key 5 times to bring up the command line interface. Now type net user your_name your_new_password. For example, if the name of the account you want to reset the password for is called Duncan05 and the password you want to change to is Pass1234, you would type net user Duncan05 Pass1234. That’s it, you can now login! Note: The command we used earlier copied over the sethc.exe, replacing it with cmd.exe, which is why we were able to access the command line at the login screen. However, the first command we used backed up the sethc.exe the hard-disk. To restore it in Windows, go the Start Menu and type cmd in the search box. Then in the results, right-click “cmd” and then choose “run as administrator”. You can the use the command c:\sethc.exe file back to c:\windows\system32\sethc.exe to restore the original sethc.exe file. Sethc.exe is used to invoke accessibility options through the Shift key. However, you will not have any issues if you decide not to restore the original file. This trick is very useful when you forgot Windows 7 password. Is it Time to Upgrade Your Laptop/Computer? Personal computer technology is constantly advancing and PC manufacturers are rolling out new machines with more advanced features on regular basis. Does this mean that your old machine has become obsolete? Do you need to buy a new computer, or upgrading your old system will serve your purpose? Frank Johnson suggests few nice upgrading options that can enhance the performance of your old laptop/computer like a new machine. If your laptop/desktop taking long to load the system and applications, or it needs more memory to run new software programs like Windows 7 or video editing, and powerful processors and graphic cards to run your favorite games, it is the right time to upgrade your computer system. You can upgrade your PC by adding some additional components or replacing the outdated ones. Depending on the requirements, you can go for gradual upgrade, replacing urgently required parts and hardware first, or in some cases you need to upgrade the entire system. Computer components such as power supplies, monitors, DVD writers, LAN cards and hard disks generally have longer life-span, and so don’t need to be replaced until they become totally defunct. So why spend a big sum of money for buying a new laptop or a desktop, when replacing one or few components of your old PC can match the performance of the next generation machines. In this article, I will suggest you some of the important components that you can consider upgrading/replacing to get the best performance out of your old laptop/desktop computer. Memory or Random Access Memory (RAM) is one of the most important components of a computer system that are directly related to the performance of your PC. RAM is required to process the data, and memory addition will make your system perform faster data processing. Memory upgrade ensures substantial reduction in the loading time for the system and applications, thus making your PC run faster than before. Additional memory is also required when you need to run more programs, or upgrade your operating system (OS) such as from Windows XP to Windows 7. Just a decade ago, 128 MB RAM were considered good for a PC, but nowadays 32 GB (32,000 MB) RAMs are being used in the high end laptops and desktop computers. So if you have a supporting motherboard and processor, you can easily upgrade your RAM and greatly improve the performance of your system. They are less costly to upgrade and easy to install in comparison to other components of a computer system. Some precautions need to be taken when purchasing a new RAM for your system. You need to make sure that your existing motherboard has a compatible slot and required specifications to support the additional new memory. Before deciding to purchase a new RAM, you must check your system’s specification and compatibility to run that particular type of memory. Most of the latest computers use DDR-II and DDR-III memory cards, while old computers used SDR memory cards. Upgrading the processor of your PC is another good option to improve its performance manifold when it comes to speed. Though a complicated task, a processor can be upgraded in a desktop computer by common users, processor upgrade in laptops require expertise of a hardware person. Before you decide to buy and upgrade the processor in your PC, you need to make sure that your motherboard is compatible to run it. Though latest motherboards support all types of processors, old ones may have restrictions to support high-end processors. The best way to find out compatibility of your motherboard to support new processors is to check out the compatibility chart for your motherboard, usually found on manufacturer’s website. Installation of a processor on your motherboard is a bit complicated but can be done with little efforts. After removing the case cover, just unplug the fan fitted on top of your existing processor. Then remove the cooling unit away from the CPU socket. Then lift the lever of the socket to get the CPU out of it. After that put the new processor in the socket and pull the level to lock it. Then install the new heat sink and fan on top of the CPU socket. After installing the cooling unit, connect the fan and you’re done. Restart your computer and you should be able to enjoy the enhanced performance of your computer system. Graphic cards are required to render 3d graphics on your machine. If you want to play latest and high-end video games or use 3D software, you need to upgrade the graphic card in your system. It will ensure visible performance increase for the related 3D applications. Latest powerful graphic cards normally run on PCI-express interface, while most of the old systems use AGP slot. So before buying a new graphic card, just make sure that your motherboard has the required interface for its installation If your PC is less than five years old, I’m sure you will be able to upgrade the graphics with few restrictions. Also make sure that power supplies in your old system are capable of meeting more power requirements for new advanced graphic cards, as they may need additional power to run. Check the specifications given on your power supply unit to make sure that it meets the requirement provided by the graphics card manufacturer. Installing a new graphic card is very easy. If your motherboard has an integrated graphics card, look for the expansion sockets specially built for graphic card. If your motherboard has a graphic card installed on the given socket, just remove it and replace it with the new graphic card. Then start up the system and run the installation CD for installing the new drivers. While it’s not directly related to increasing the performance of your laptop/desktop PC, you can also consider upgrading you monitor and hard drive for better viewing experience and large data storage respectively. I received an email the other day asking me how to reset a router’s username and password back to the default username and password. I thought this was a great question and worthy of a post. 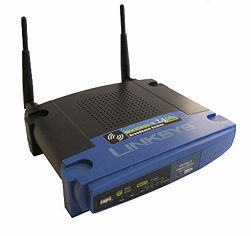 In order to get your router back to the original settings, you must push in the reset button (usually on the back of the router) for somewhere between 10 and 30 seconds depending on the router. You may need a pin or something small to push in the button, because it can be recessed. Once you have reset the router, the username and password will be changed to the defaults, admin and password, respectively. One thing you must remember is that resetting the router will change all of the router settings back to the factory settings. This means you will lose all of the changes you made since you got the router. Make sure to write down any things you’ve changed, so you can change them back after the reset. Also, I recommend updating to the latest firmware after the reset. WirelessKeyView is a portable free network utility by NirSoft that recovers your wireless network security key/passwords stored in your computer. The latest version adds a feature that allows you to export these keys into a simple text file and then later on import them into another computer. Because it’s a portable tool you can just download it from the link below and launch it without first installing it. It supports on both 32bit and 64bit of Windows, so make sure you know which edition of windows you are using and pick one that matches. Select the keys you want to export, and Export Select Items from File menu. It’s worth noting that the keys exported in the text file are not encrypted. So make sure to keep the file in the safe place if you are concern about the security of your network. If you find the keys that are obsolete from the network adapter that are no longer existed, you can even delete the keys from the tool directly. The key deleted from the tool will also be removed from your computer. Note that only the keys from the inactive network adapter can be deleted. WirelessKeyView works perfectly in XP and Vista but has a bit of difficulty working flawlessly in Windows 7 due to the new encryption and hashing algorithms used by the Windows Data Protection system. The author has to make a workaround but claims that he will still keep the research and development going. However, I test its 64bit version of this tool on my Windows 7 64-bit system and it has no problem revealing all my wireless network keys I ever inputted. As always, WirelessKeyView has a list of command-line options and can be executed in Command Prompt window or be a scheduled command. Imagine a situation where you have a computer or a laptop without an optical disc drive and want to install the new Windows 7 that is in DVD? What would you do? Thinking about it, or perhaps to be more clear thinking about the users of netbooks, Microsoft released a tool that allows you to use a USB flash drive to install Windows 7. It would be good also for use in MacBook Air, but Apple itself still does not recommend installing the new Windows via Bootcamp. 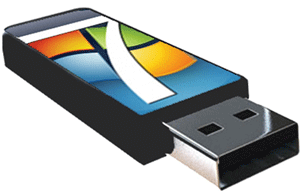 This free tool called Windows 7 USB / DVD Download Tool prepares your USB flash drive and makes copying the installation files for Windows 7 so you can perform the process without the media installation. 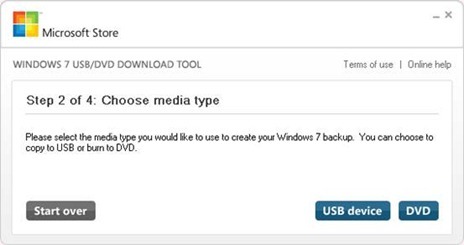 Please download the Windows 7 USB / DVD Download Tool by clicking here, and follow the steps below to create your removable disk with the Windows installation. 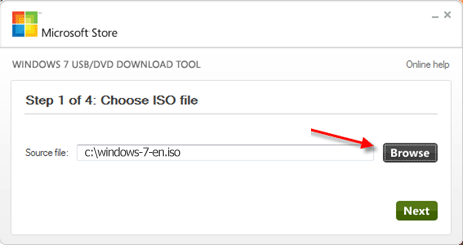 Warning: Before starting the process, create an ISO image of the Windows 7 DVD as it will be used below. Also be sure to use a USB flash drive with at least 4GB of capacity. 5. Now just wait until you see a message indicating that the disk was created. Now, your USB flash drive is ready. 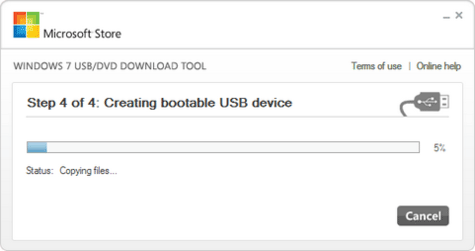 Just plugin in to your laptop or desktop computer, then simply reboot through USB flash drive to install Windows 7. One of my friends asked me if it is possible to crack a password protected Outlook (. PST) Data File. The file contains some important project data but unfortunately he forgot the password. Is there a way to recover the password or unlock the Outlook PST file? In my previous post I have covered the way to recover forgotten Outlook passwords from MS Outlook. For data security, MS Outlook provides a convenient way to set a password on Outlook PST file. If you forgot Outlook PST password, you’ll lose access to your entire emails, calendar, Outlook contacts and other data used by MS Outlook. Just take it easy! There is always an easy way for you to recover forgotten Outlook PST file password. This article is intended for everyone who lost or forgot passwords of their Outlook PST files or just want to learn the basics of Outlook PST file. The PST (Personal Storage Table) file is usually used to store emails (and attachments), calendar events, contacts, journal and other items within Microsoft software such as Microsoft Outlook or Exchange. The PST file is also known as Personal Folder file. If you’ve set a password to protect the content of the PST file, you’ll required to enter your password every time you start MS Outlook. Once you’ve forgotten the password, you can’t send and receive email at all. Forgot Outlook PST password? Fortunately, the PST file is protected using a very weak encryption algorithm CRC32 that we can crack your password quickly and easily. Everyone can follow the instructions below to recover forgotten password to any protected Outlook PST file. Install Password Recovery Bundle on your computer. 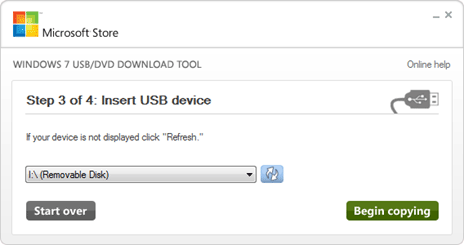 Start the program and then click Recover From File button, then select PST File Password option. You’ll be prompted to select your Outlook PST file. After choosing your Outlook PST file, click OK. The program will analyze the Outlook PST file and recover your forgotten password instantly. Write down the recovered password and then start MS Outlook and enter the password, you’ll be able to log in successfully. Hello everybody, I am facing some tough situation where my brother forgot password of MS Outlook account which he maintains for my clients. Now my all important information stored there is inaccessible. Can anyone possibly give me potential solution for this particular problem? Thanks in advance..
Forgot Outlook password? I can understand your trouble, and you are not alone facing such problem. There are many instances where someone forgot their Outlook password due to intricacy of password, or moving all Outlook settings to a new system where password isn’t auto-saved. But don’t worry! If you go through similar problem, you can subsequently recover the lost or forgotten Outlook password using Password Recovery Bundle. Password Recovery Bundle is the most powerful password recovery software you’ll ever used. It can recover over 60 types of passwords from instant messengers, email applications, web browsers, FTP clients, Windows login password, Office documents, etc. Of course it can also recovers Outlook password from MS Outlook, Outlook Express. Move on and see how can you recover forgotten Outlook password by yourself. Launch the program and then click Start Recovery button. It will display a list of supported passwords the program can recover. Now we need to select the Email Password and then Outlook Password. The program will search the locations where MS Outlook stored your passwords, decrypt the passwords and display the details of email accounts saved in MS Outlook: email accounts, logins and passwords. The recovery procedure is very easy and everyone can follow it to recover lost or forgotten Outlook password from MS Outlook. I change the password on my laptop and didn’t log out for 2 days. When I finally did I forgot the password. Now I can’t get in anything on my computer. How do I reset a forgotten password on my laptop without erasing anything?? Help me please!! If you forgot Windows password for your laptop (or buy a used laptop with an unknown password) you can’t log into Windows. The first thing to do is try all the passwords you think it might be. After a few incorrect guesses you will be prompted with a password hint (if one was set up) which may help you remember what it was. If you still don’t know and have tried all the passwords you can think of, it’s time to reset your laptop password. Password Recovery Bundle is reliable and easy-to-use Windows password recovery software that we’ll use it to reset forgotten laptop password. We need to download the software on another computer you can log in. The software enables us to burn a Windows password reset disk (CD, DVD or USB stick). Have your locked laptop to boot from the password reset disk and it allows you to reset forgotten Windows password safely and easily! Install Password Recovery Bundle onto another computer you have access to. Launch the program and then click Windows Password button. On the prompt dialog, follow the on-screen steps to create a Windows password reset disk. Boot your locked laptop from the Windows password reset disk. After a while you’ll see the Reset Windows Password screen. Select the user account with a forgotten password, then click Reset Password to continue. The program will immediately reset your forgotten Windows password on your laptop. Now reject the password reset disk and reboot your laptop. The computer will boot as usual and get to the Windows logon screen. Just leave the password field as blank, and you’ll able to successfully log in the system. It’s so easy to reset laptop password if you forgot Windows password and can’t get in.